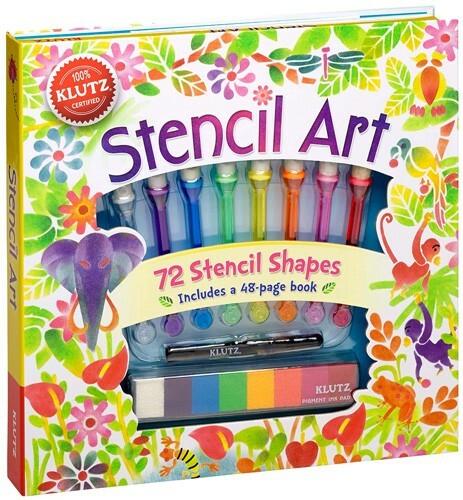 It's simple to create detailed works of art with stencils! 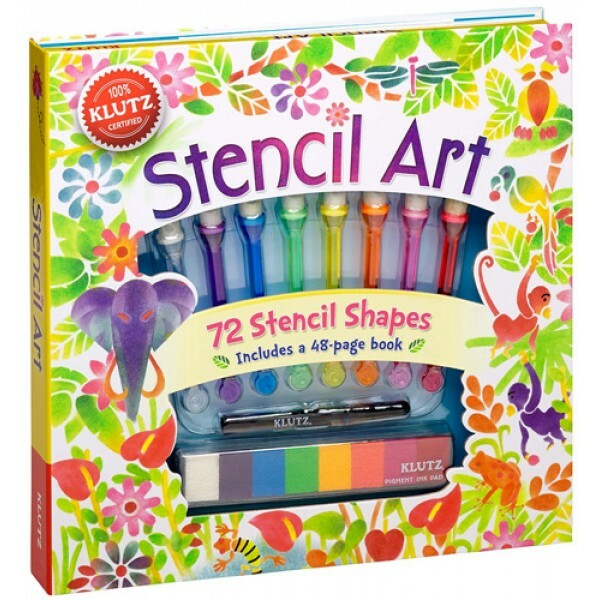 This set from Klutz provides tips, tricks and inspiration for creating unlimited art. Dabbing da Vincis squish the foam tip on the ink pad and then dab-dab-dab vibrant color on their paper. 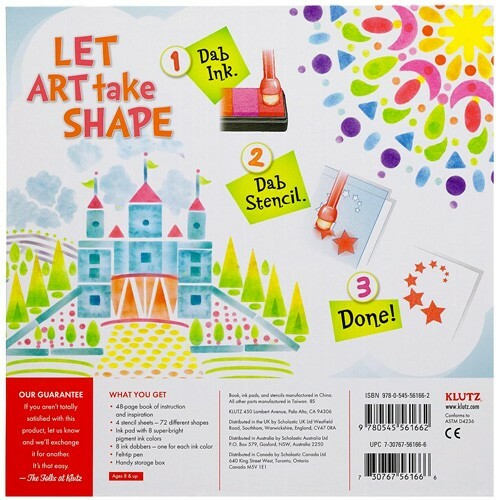 To give the color form, we've included plastic stencil sheets that can be used to make a bunch of kid-friendly designs (everything from ladybugs to aliens), as well as a special sheet of abstract stencils that go together to make any shape. 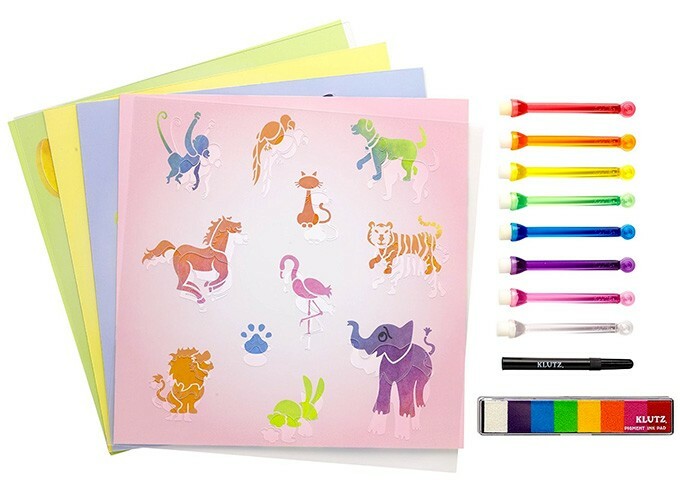 This set includes 72 stencils, 8 markers, 14 sheets of stickers, and a 48 page instructional book.